InSAR, which stands for interferometric synthetic aperture radar, has literally changed our view of Earth's landscape with its ability to measure elevations to within one millimeter, or four-hundredths of an inch, from Earth orbit. While it has been used to map landscapes worldwide – Bürgmann has used InSAR data to map landslides in Berkeley and land subsidence in Santa Clara County – this may be the first time someone has combined such data with future sea level estimates, he said. 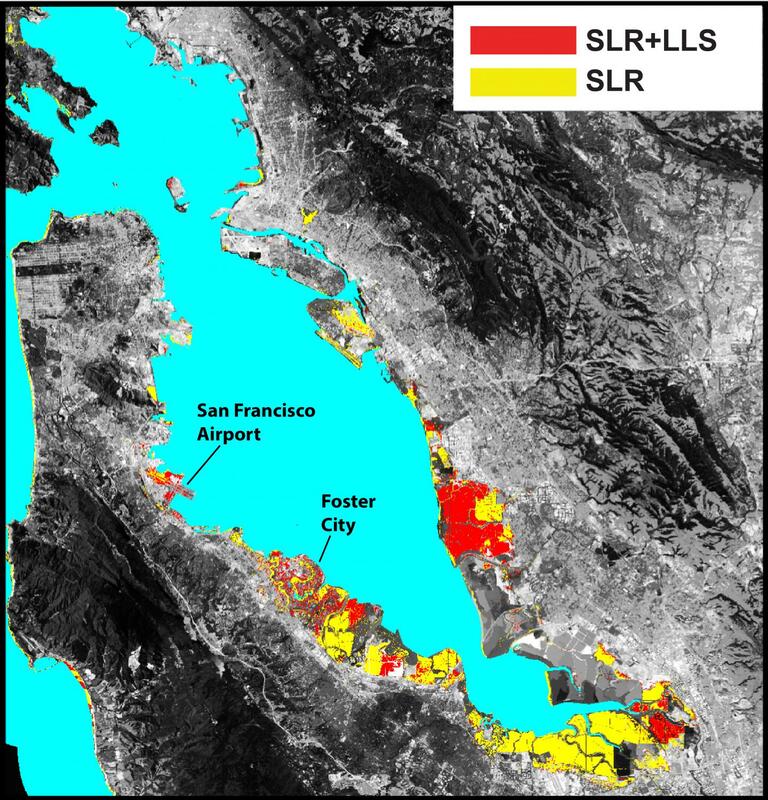 The team used continuous GPS monitoring of the Bay Area to link the InSAR data to sea level estimates.